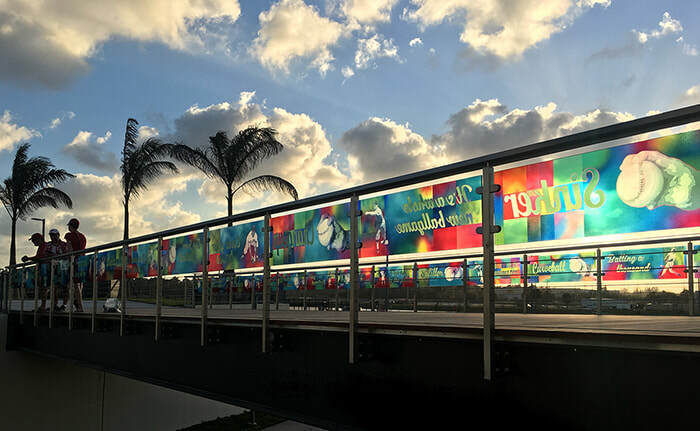 The addition of public art at the Ballpark of the Palm Beaches is an important identity marker and Perfect Game helps to define this character for the new stadium. 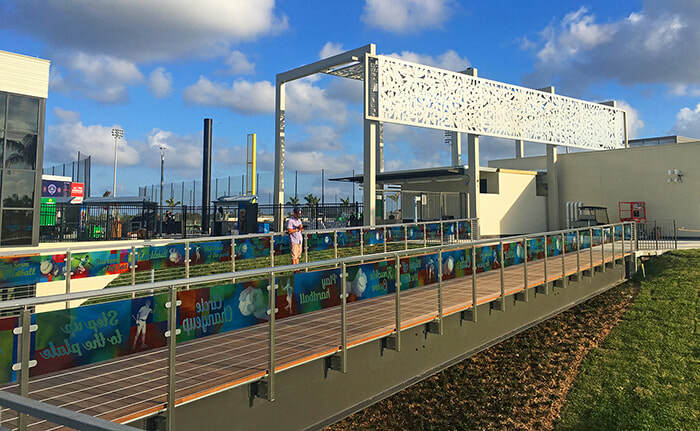 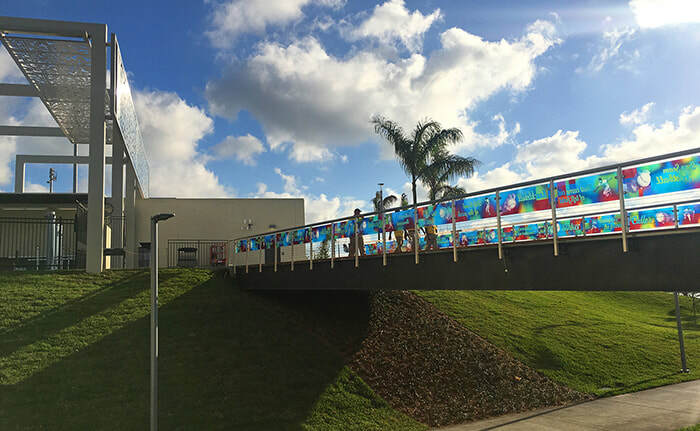 The railing artwork themes emphasize teamwork, play and being a ‘part of the action’. 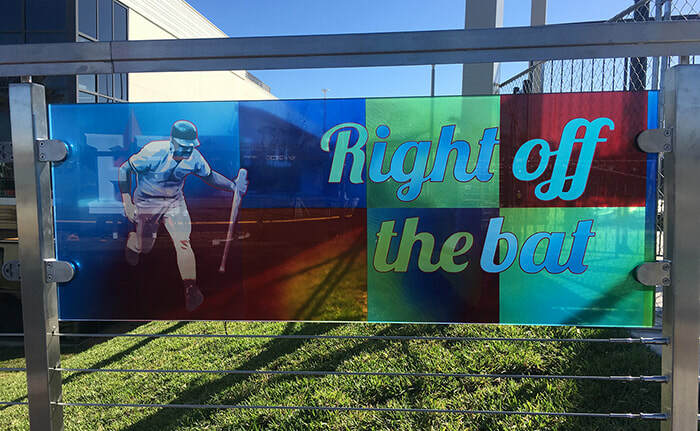 These enamel painted glass panels were fabricated in Germany and offer a popular destination for visitors to learn about the exciting game of baseball.